Lithia Artisans Market is a guild of local artists and craftspeople who make and sell their own creations. 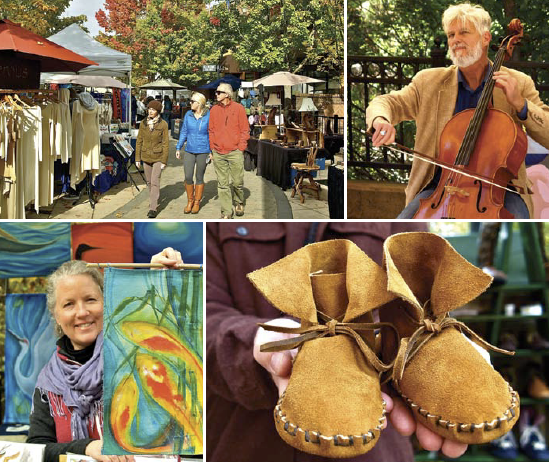 The creek-side market meanders along Calle Guanajuato, behind the plaza in downtown Ashland, and features an eclectic mix of handcrafts, fine art, and live music. A magical alleyway where you will always discover something new. Indoor holiday events take place at the Ashland Historic Armory on Thanksgiving weekend and at the Briscoe ArtWing on weekends in December leading up to Christmas.